"Press 1 if you want to add service." "Press 2 if you want to make a payment." "Press 3 if you want to change your address." My wife and I sold the old house and bought a new one. After 27 years in the same place, we are moving. So a few weeks ago I went to the phone company's website to cancel our land line and update the information on our cell phones. Unfortunately, they don't have a button for canceling some of your service and keeping other parts of it, so I had to call their customer service number. This got me thinking about the professionals I deal with and how much I appreciate their personal service. Two weeks ago I called my insurance agent and we talked for 10 minutes. It took 5 minutes to change addresses on the car insurance, cancel the old homeowners and get the new home insured. Then we talked about our families for 5 minutes. In the same amount of time it took to just get to a human at the phone company, my insurance got updated. We all know that takes at least 15 minutes on the internet. A few years ago when my wife and I wanted to update our estate plan, we visited the lawyer's office, talked for a half hour and in a few days we got a draft of all the documents we needed. We reviewed them and had some questions. Our lawyer told us the reasons for what he did and explained how the advice of the so-called financial experts we saw on TV or read on the internet did not apply to us. If I had followed some of the advice I saw on the internet, I would have been spending a lot of money unraveling the mess I could have created. And then there's our bank. It's a community bank we've been using since it opened in the early 90's. When we got into a financial bind the bank worked with us, extended a line of credit and covered some checks that should have bounced. The personal banker we worked with is an angel. She made sure we were heard and went to bat for us at the loan committee. I don't think we could have made it without her. So, as you can see, I really appreciate the personal service my wife and I get from local professionals. I would like my children and grandchildren to also enjoy the benefits of that type of personal service. But many local professionals are struggling to compete with the internet services. And while these internet businesses are great for some things, most of them simply don't know who you are - nor do they care. 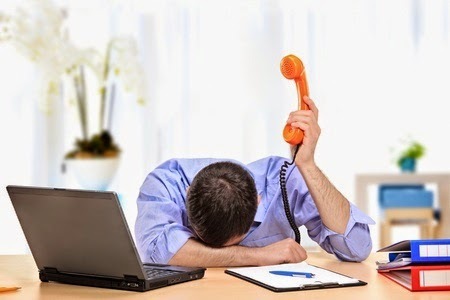 Your local professionals and businesses need some help competing with the big internet services. It's a tool that helps your professionals stay connected with you and all their other clients. 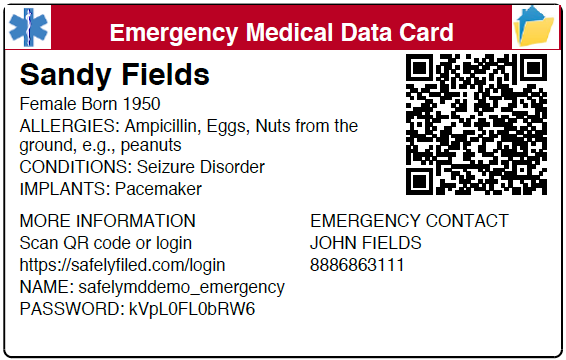 For example, if your attorney gave you a SafelyMD Emergency Data Card, not only would you and emergency personnel have instant access to your medical data, the card would also have your attorney's name on it. Everybody wins. You get better medical care and your attorney knows you have her name in your wallet. Your accountant could use SafelyFiled to securely transmit your tax records to you, saving the cost of express mail. And you could securely send records back. You'd be doing so in a SafelyFiled site branded with your accountant's name and logo. And if he keeps your records in a folder that only you have access to, you'll never have to search through old paper files again. Your insurance agent could upload policies - even policies from different insurance companies - and appraisal forms to your SafelyFiled folder, where your could always find them. And if you decided you want to put your will and other estate documents in a folder, you can do so. Your folders don't just have to be for insurance business. You'll be reminded of your agent every time you use your SafelyFiled account. So, if you like the professionals and businesses you deal with, and if you appreciate their personal service, let them know about SafelyFiled. Forward a link to this blog. SafelyFiled will help you stay organized and certainly help your trusted professionals compete in an internet-connected world. SafelyFiled helps families stay organized and trusted professionals compete in an internet-connected world. There's another reason to help your local businesses too. Most of the money you pay them stays in your community, as their incomes. They spend it at local restaurants and shops, creating vibrant shopping districts that produce jobs and pay taxes for the services you want your local governments to provide. And here's one final reason to help your lawyer, accountant and insurance agent know about SafelyFiled. It's simply personal. I like it when my insurance agent knows me by my real name, Mark. That is much better than being known only as an IP address by an algorithm.